Take a break from your regular walk route this summer with our free self-guided tree walks! New downloadable tree walks will be added to our website monthly, providing you with a fun and easy way to learn more about the District’s urban canopy. Each downloadable tree walk features a map of the various trees at a popular location in D.C. 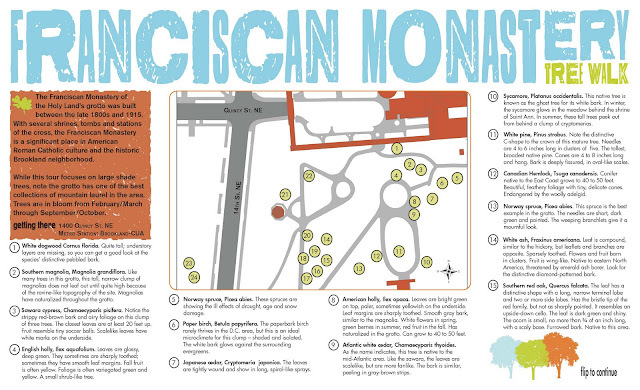 This month, we are featuring tree maps of the National Gallery of Art Sculpture Garden and the Franciscan Monastery of the Holy Land. Touring the trees at these beautiful locations is easy. 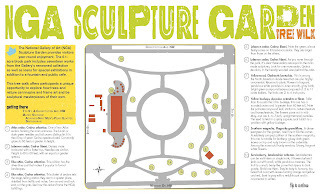 Just print up our map to use as a reference as you explore the site at your own pace. Our downloadable tree walks for the month of July. Click on the image for the full map. Our downloadable tree walks allow you to stroll great tree spots around the District on your own time, at your own pace. But don’t forget: Casey Trees still offers tree walks in person at various locations around the District, so be sure to check our calendar for upcoming docent-led tours. Also check out our blog posts on other great summer spots in D.C.! 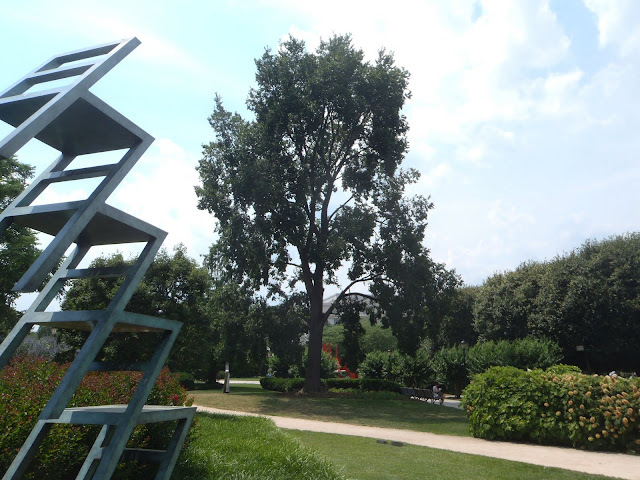 A sculpture and notable tree at the NGA Sculpture Garden.